 All About Us - Killerspots.com, a full service digital marketing agency. We’re a full service digital marketing, production and media agency. Our full service offices include a full radio broadcast booth & television studios complete with White and Green cyc walls. In-house Web and Graphic designers, Certified Social Media Masters, Inbound marketing geniuses, Email Automations, Sequences, Lifecycle triggers, SEO Guru’s and so much more. Our culture is strategy & ROI at its core with measurable results and complete customer service. We have everything under one roof. Even other ad agencies use us. We have helped businesses of all sizes and budgets get that edge over their competitors. We partner with our clients to develop continuously evolving marketing approaches that dynamically adapts to their business for maximum R.O.I. Join us & grow… period! Do you need a quote or more information?